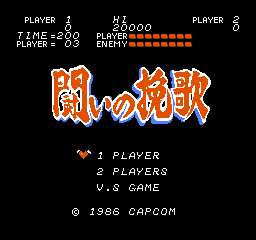 OverviewClassic side scrolling game developed by Capcom which takes place in a post-apocalyptic world. Players assume the role of a warrior, named Trojan, who must defeat the evil tribes found throughout a gothic/industrial wasteland. 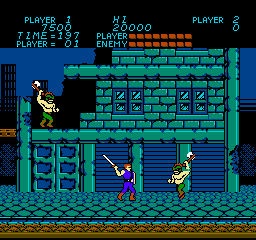 Trojan can be found on five gaming platforms including NES and PlayStation 2. Now you can add videos, screenshots, or other images (cover scans, disc scans, etc.) for Tatakai no Banka (Japan) to Emuparadise. Do it now!